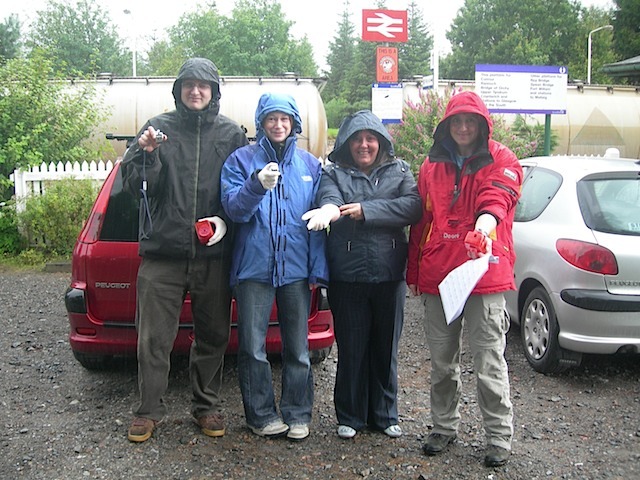 In July 2008 we organised a field test for VAPE's midge repellents in conjunction with Dr Alison Blackwell of Edinburgh University. It was probably one of the most painful jobs we've ever undertaken! The team - below - bravely bared their flesh to count the number of bites per trial session. The trial took place at Scotland's midge epicentre near Tulloch Station. The results were very impressive and helped VAPE persuade customers to list their products. It just goes to show how far we'll go! Dr Blackwell (right) and her intrepid team.